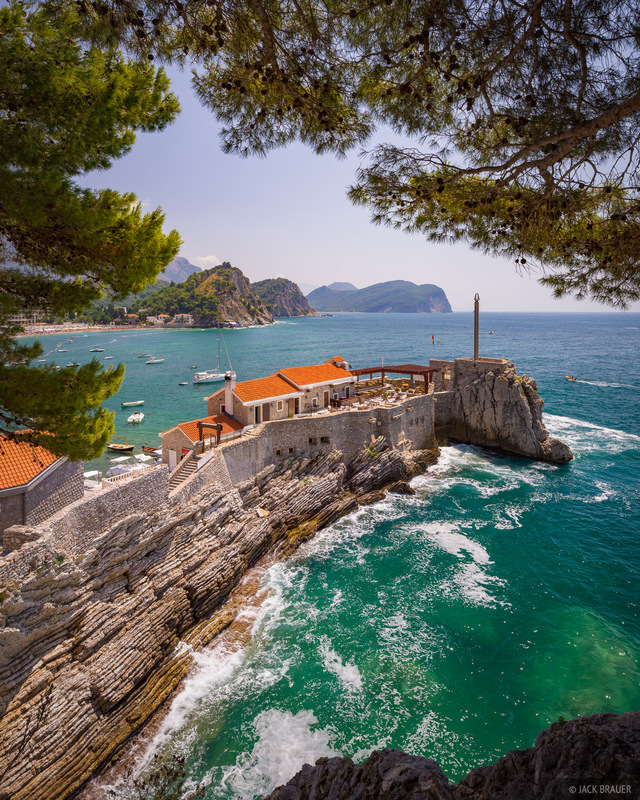 After our treks in the mountains of Montenegro, we were feeling pretty trekked-out and looking forward to a more relaxing stretch of travels along the coast of the Adriatic Sea. Yes, we knew it would be hot, crowded, touristy, and expensive compared to the mountains, but we wanted to visit there anyways; no trip to Montenegro would be complete without a visit to the coast. 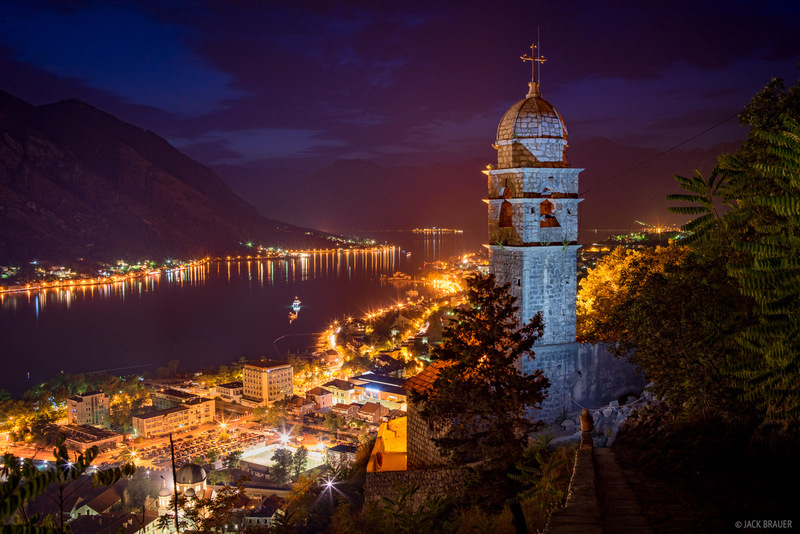 Nighttime over the lights of Kotor, Montenegro. Photo © copyright by Jack Brauer. We spent three days relaxing in the ancient walled town of Kotor at the head of the Bay of Kotor, a fjord off the Adriatic Sea. When I think of fjords Norway comes to mind, so it’s quite novel to see a Mediterranean version of a fjord. A panorama in the ancient walled town of Kotor, Montenegro. Although this square was quite busy with tourists walking around, their motion during my long exposures rendered them mostly invisible to the camera. Photo © copyright by Jack Brauer. Kotor is a very charming old town with a labyrinth of narrow marble pedestrian alleys and inviting cafes around every corner. Like much of the Adriatic coast, Kotor has a distinctively Italian influence in the architecture and cuisine. It’s a great place to stroll around aimlessly, and sit down with a bottle of Vranac and a plate of mussels! 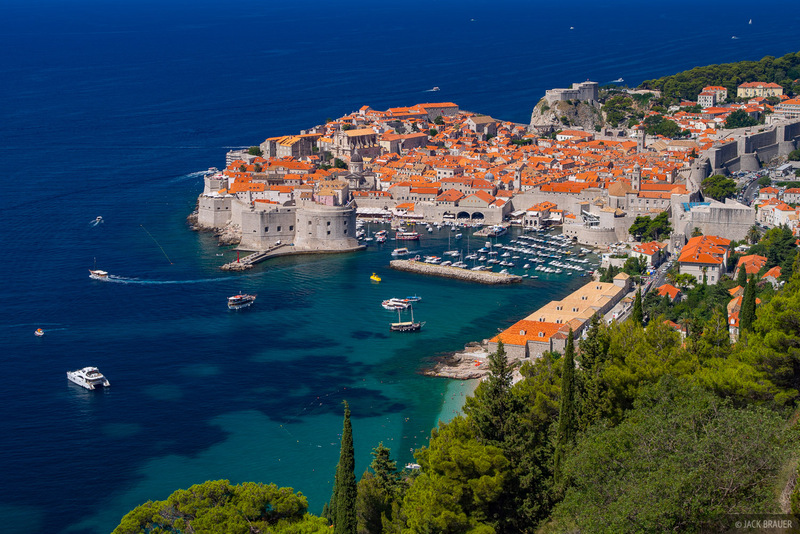 A few hours drive up the coast from Kotor and over the border in Croatia is the famous walled city of Dubrovnik, our next destination and a romantic place to spend our third anniversary! 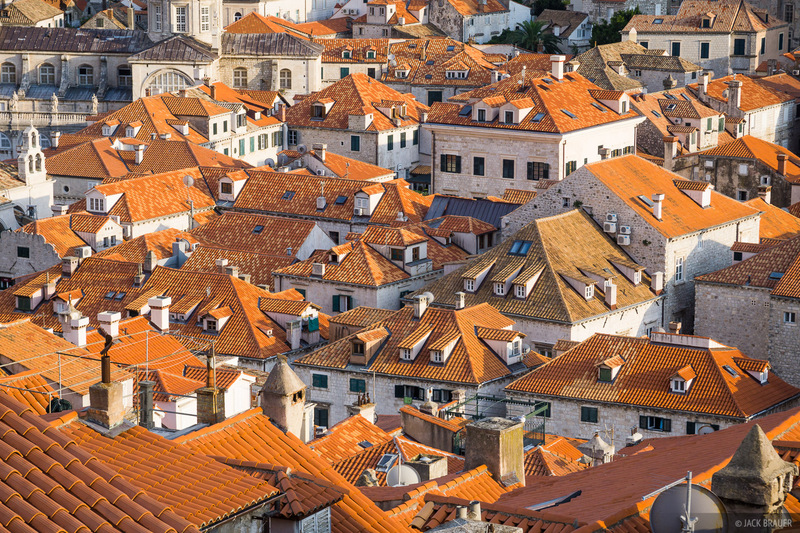 The orange tiled rooftops in the old city of Dubrovnik, Croatia. Photo © copyright by Jack Brauer. 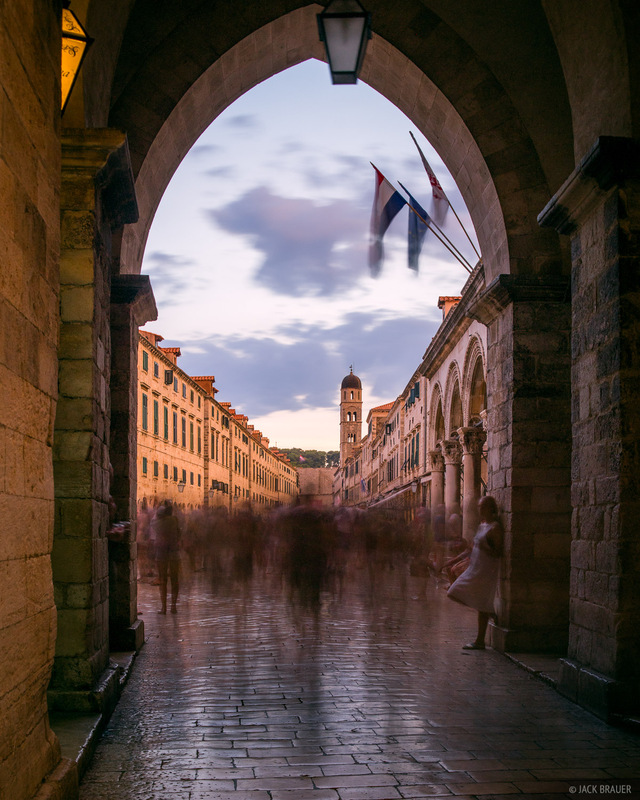 The blurred hustle and bustle of crowds of tourists in Dubrovnik, Croatia. Photo © copyright by Jack Brauer. Posted in Alps & Europe and tagged Montenegro, Croatia.